Today in Room 2 we upped the ante in terms of our Role Play preparation. 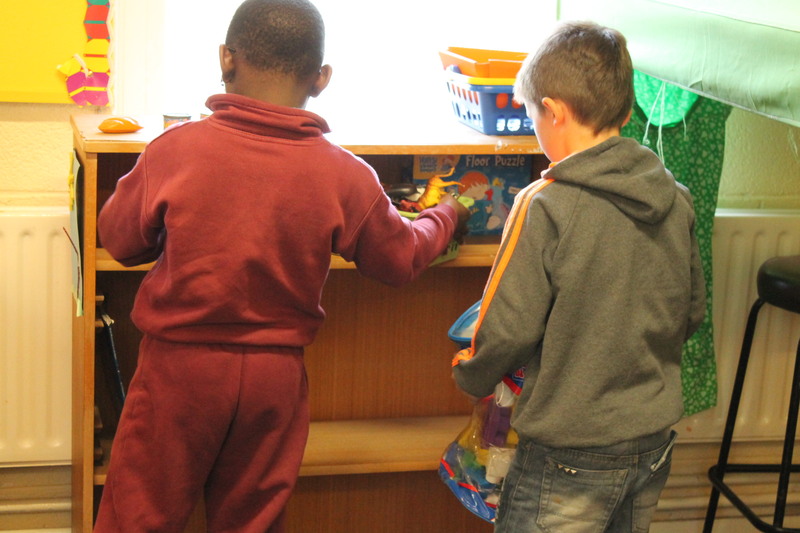 Following regular chats with Ms. Dee (blogging about her Aistear experiences here) who teaches Senior Infants across the hall from me, I decided to follow her example and let the children become much more involved in the set-up of the Role Play area. Up until now, with the introduction of a new theme, I have had to get in to school extra early on the first morning in order to dismantle the previous Role Play area and set up the new one. Often, I have printed out relevant signage and other stimuli and need to spend time setting the scene. There also tends to be a fair amount of clearing out to be done, as I find bits of ‘shrapnel’ that have fallen behind benches etc., during previous play times. After setting a scene according to my vision of how it should look, it is also necessary to explain to the children what I thought each table/ box/ etc was for. Ms. Dee always seems to be able to involve the children far more in the set-up. So after discussing in detail how she goes about it, today I was able to introduce the children to the New Day 1 of Any New Theme: Preparation Day. 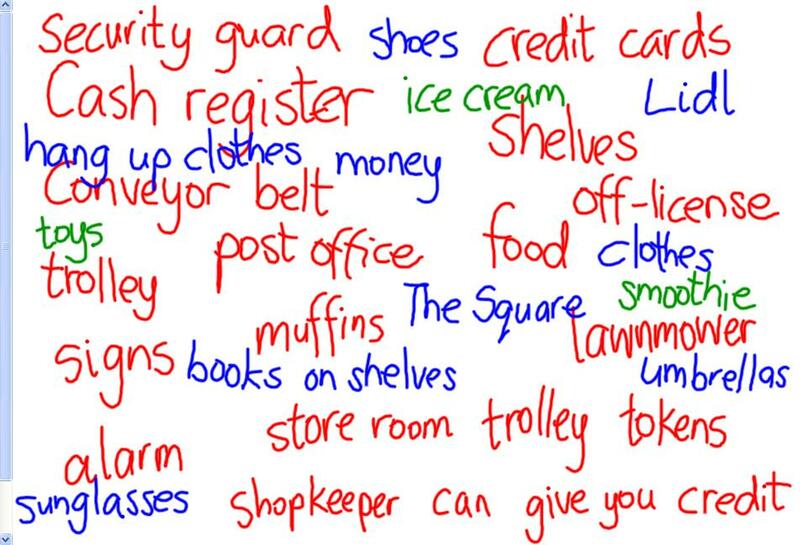 First we discussed our new theme – Shopping – and brainstormed the kinds of things that you see, do and buy in a shop. Then we divided the responsibilities of arranging a shop in our Role Play area into four categories, and started adding suggested tasks to each topic. Next we chose volunteers for each group. There was a clamour for the ‘set-up’ role but everybody was happy with their assigned jobs in the end and the children all worked well to achieve their goals. Straight away the children in the set-up area started to come over and ask me whether they could use this or that as a prop. 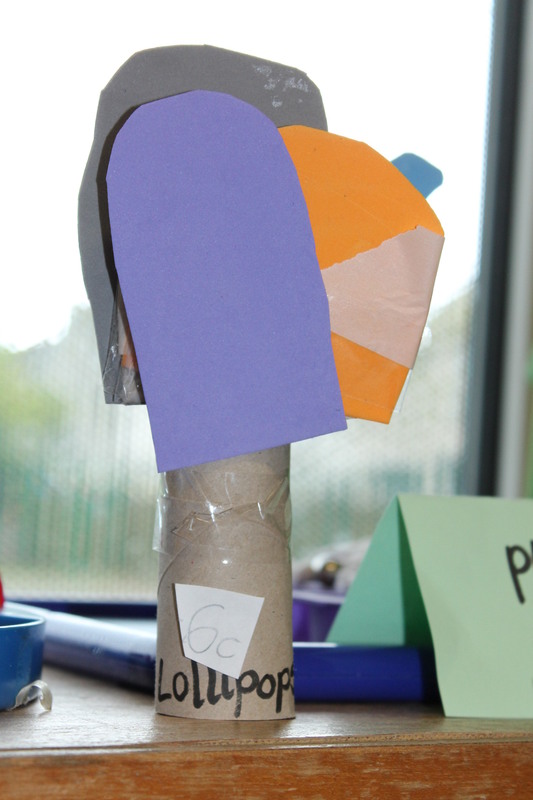 Soon the others started to add their own creative flair to proceedings! Abdulmaliq suggested we use the wheelbarrow from our gardening theme as a trolley. Killian wanted to use a box of nails from our construction theme, and sell them like it was a hardware shop. 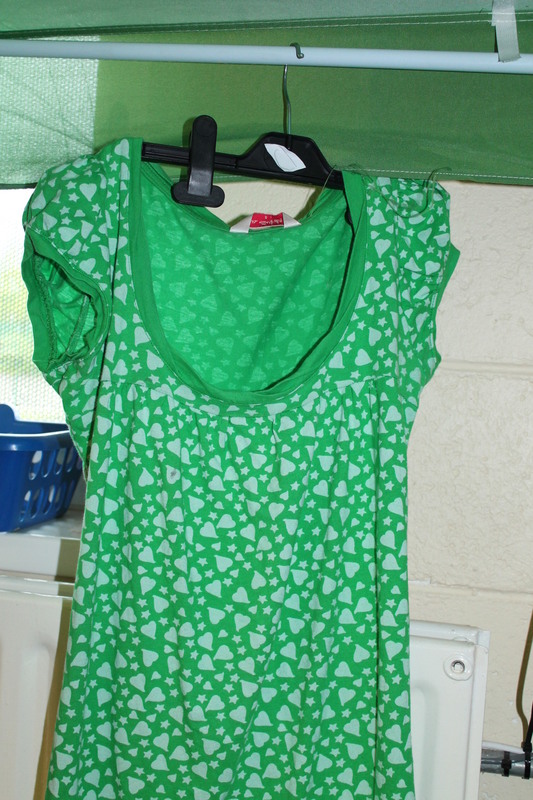 Abbie found a hanger for a dress in the dress-up box and suggested the dress could be for sale. Chloe wanted to use an empty Ribena bottle from the junk art supplies, and pretend it was full. 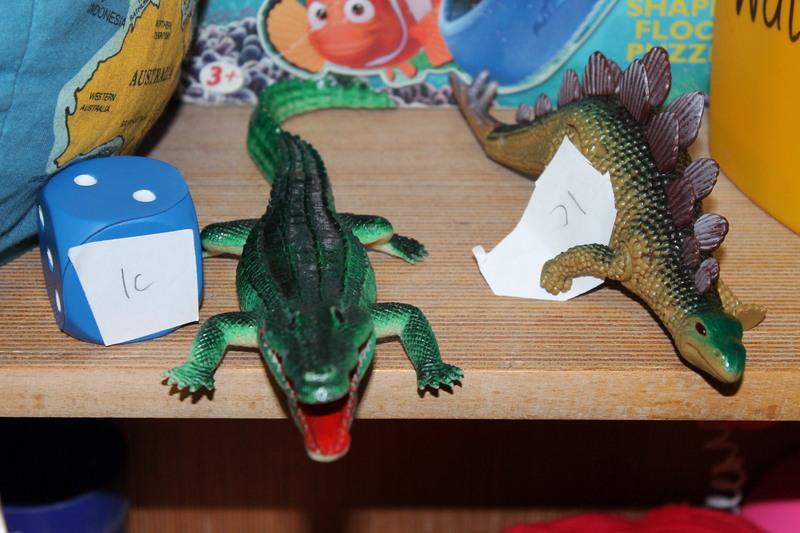 Several of the children wanted to sell their favourite toy in the shop. Ayse suggested that we could turn a table sidewards and use it as a conveyor belt. The children’s suggestions started off tentatively and their confidence visibly grew as the shop began to take shape. 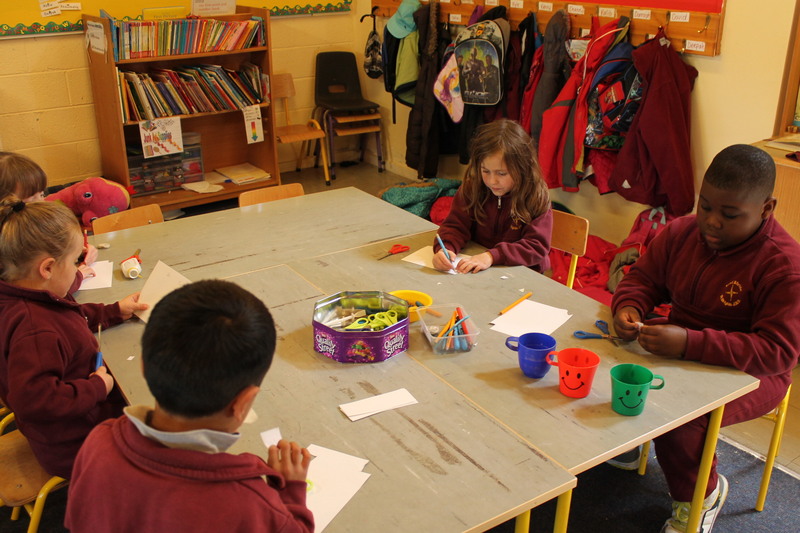 The children at the pricing table priced up a storm using sticky sheets, pencils and scissors. My concerns that they might not be sure what price to assign to particular items was unfounded – once they got started there was no stopping them! In fact there is now a price on my stool! The junk art table generated a balloon, a variety of lollipops and a selection of canned goods among others. Finally we had the shop set up exactly how we wanted it. 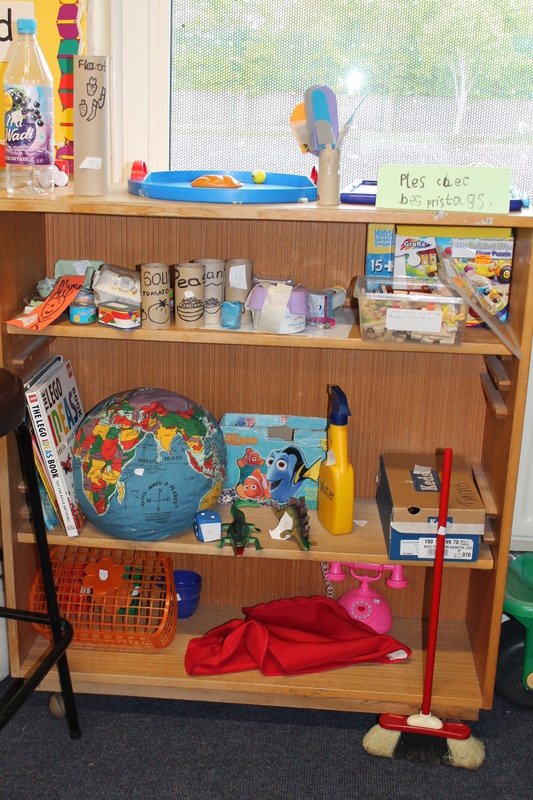 In our enthusiasm we went over our allotted time, meaning we had to eat lunch AFTER yard time, and THEN discuss what we had achieved – but take a look at what a great shop has been installed in our Role Play corner! One of our shelving units was appropriated (and the toys that usually live on it carefully stacked out of the way) for use as a display for all of our wares. Tables and chairs were moved. Unnecessary props like the rocket from our Space theme (which had more recently been appropriated as a prison during our Garda Station theme) were unceremoniously disposed of and the area soon began to look and feel like a shop. Now that we have put the Shop together as a group effort, I feel that the children are more likely to add to the scene as necessary. 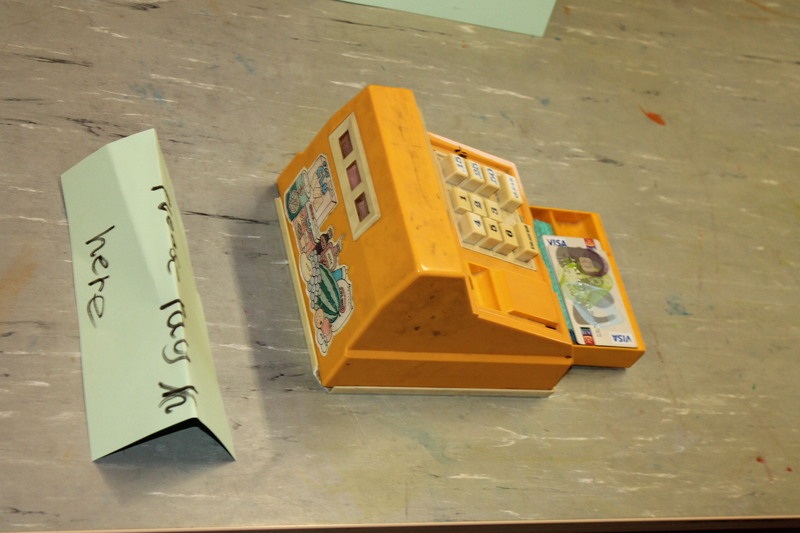 In our discussions after finishing setting the scene, the children remembered some things that they hadn’t yet found or made, including some more signage – and I am optimistic that they will use their time at the Junk Art station to make the Shop even more authentic. I hope that having spent time considering the form the shop would take, the children will be even more likely to immerse themselves in Make Believe as they play in the Shop. This will take me one step further towards feeling content that our Role Play is all that it can be! 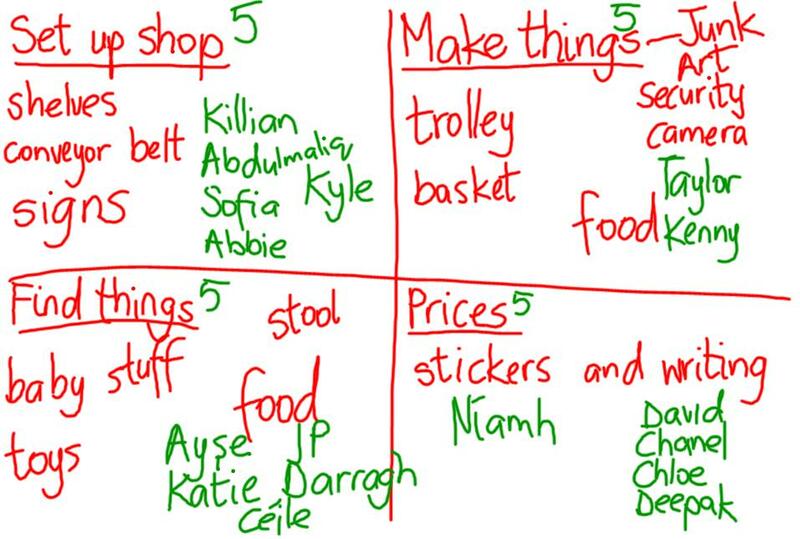 This entry was posted in Independence, Planning and tagged Aistear, Freedom, Independence, IWB, Planning, Role Play. Bookmark the permalink. “I like the clothes in your shop” said Zenebou. “You have good writing” said Patrick. “I like your security camera” said Miss Dee. “I like the clothes too and the cash register” said JIm. “I like the way you plan” said Katie. “How did you make the lollipops” said Ryan and Jessica and Zenebou. “They all did good teamwork” said Sarah. “Your play is nice” said Basit. ” I like your toys” said Cían and Lorcan. “I like the way you make stuff not buy it” said Luke. “You are nice playing” said Paul.